Limited inventory continues to be concern in Reno-Sparks residential market as supply fails to keep up with strong demand, fueling higher prices. Limited supply led to a drop in the number of houses sold in Reno-Sparks last month but prices reached a new post-recession high yet again. The greater Reno-Sparks area posted 566 sales of existing single-family homes in July, down 13 percent from the same month last year, according to the latest housing report from Reno/Sparks Association of Realtors. Home sales were also down 14 percent month-over-month from June. The numbers are limited to existing single-family houses and do not include condominiums, townhomes and modular housing. The drop was expected, with real estate watchers cautioning about falling July sales last month based on pending home sale activity. The Reno-Sparks market has been in the midst of a seller's’ market for an extended period as housing supply fails to keep up with strong demand. The limited supply continues to raise concerns about affordability as wages fail to keep pace with rising home price increases. The median price for an existing single-family home in the greater Reno-Sparks metro area rose to $316,850, up 2 percent from June and 9 percent from the same period last year. Reno pricing was relatively flat at $329,750, which is slightly down from June’s median price of $331,000. The price, however, still represents a 9 percent increase from last year. 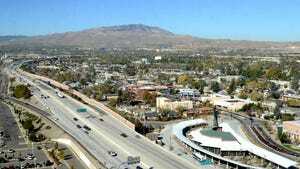 Sparks saw a significant increase in home prices but remains a more affordable option over Reno. The median price for an existing single-family home in Sparks last month was $299,000, up 8 percent from June and 14 percent from last year. In contrast to existing homes, Reno-Sparks condominiums saw annual drops in pricing in July. The median price for a condominium in Reno-Sparks was $142,450, down 13 percent from the same month last year. Fernley, which is not part of the Reno-Sparks market, posted 35 sales of existing single-family homes in July, down nearly 40 percent from the previous month as well as year-over-year. 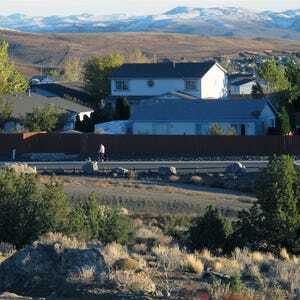 Fernley median pricing for existing single-family homes was at $185,000, a decrease of 9 percent from June. July 27, 2016, 10:51 a.m.
Aug. 11, 2016, 1:01 p.m.
July 29, 2016, 4:37 p.m.
Nov. 23, 2016, 11:33 a.m.
July 7, 2016, 2:39 p.m.
Sept. 30, 2016, 4:20 p.m.